Five church leaders were arrested for refusing to surrender the property as they encouraged the church to remain vigilant – the Rev. Daud Fadul, elder Fathi Hakim, elder Nouh Manzoul, deacon Iman Hamid and Tilal Mafishi. The leaders of the Sudan Presbyterian Evangelical Church (SPEC)-affiliated congregation were taken to Khartoum North Police Station, the source said. “Police present can still be seen surrounding Bahri Evangelical Church,” he said. Church members and other Christians who have been gathering at the site urged President Omar al-Bashir to stop targeting church property. A sign in front of the church read, “We urge president of the Republic to urgently intervene and stop targeting church property.” Police removed it today as they entered the compound. After a bulldozer accompanied by security personnel and police knocked down a wall of the church and houses on Nov. 17-18, the Christians formed a human barrier to face down further demolition attempts on Wednesday and Thursday (Nov. 19-20). The bulldozer, accompanied by National Intelligence and Security Services (NISS) personnel and police, carried out the demolitions based on a court order demanding that church leaders surrender the premises to Muslim businessman Khalid Mustafa. A church committee of members that the Sudanese government interposed made a secret agreement with Mustafa to sell him church property as part of Sudan’s campaign to do away with Christianity in the country, church leaders said. After the Nov. 17 demolitions, church leaders filed a court complaint the next day and were told they would have to wait until Dec. 4 to have their grievances heard. The next day authorities destroyed the home of pastor Hafiz Fasaha at the SPEC church compound after ordering personnel inside to leave the premises, church leaders said. Authorities told the Christians a Muslim businessman owned the land and that they had a court order calling for the use of force to take over the property. On Wednesday (Nov. 19) at 2 p.m., police arrived at the church compound with another court order, this one requiring the removal of all property inside the main pastor’s house and the removal of all padlocks to allow the businessman to install his own padlock. After a lengthy discussion between police and church leaders, boisterous young men from the church arrived ready to defend the building. With church women wailing and screaming, police decided to leave, saying they would return later. Church leaders called on members to remain vigilant, and when authorities returned with a bulldozer at 2 a.m. on Thursday (Nov. 20), they encountered hundreds of church members who made a human shield that prevented the demolition. While the church blames the government for the court order that it surrender the property, a representative of the Muslim businessman laying claim to it has said a contract was signed about four years ago giving him the right to invest in the land for a period of up to 20 years. The representative asserts that because of church opposition he had to go to the government to take the land by force. Church leaders hold ownership papers to the property and believe any contract surrendering it comes from a government ruse. 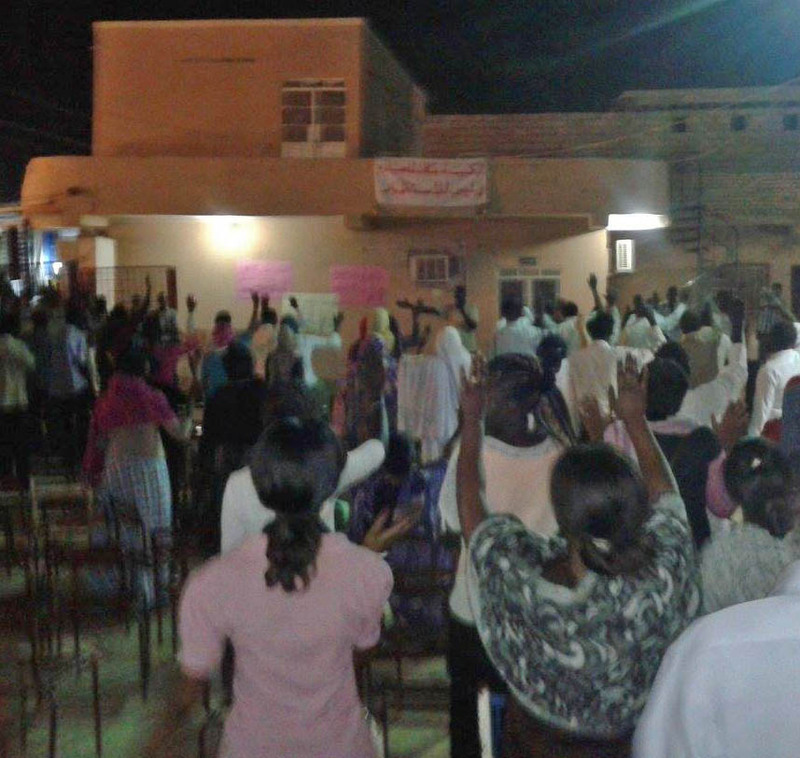 On Oct. 5, 2013, Sudan’s police and security forces broke through the church fence, beat and arrested Christians in the compound and asserted parts of the property belonged to a Muslim investor accompanying them. As Muslims nearby shouted, “Allahu Akbar [God is greater],” plainclothes police and personnel from NISS broke onto the property aboard a truck and two Land Cruisers. After beating several Christians who were in the compound, they arrested some of them, including Pastor Fadul; they were all released later that day. Authorities asserted that another Muslim businessman, Hisham Hamada El-Neel, had signed a contract giving him a right to invest in land. Church members were not told who gave him the contract, and they suspected the government was behind the move. Harassment, arrests and persecution of Christians have intensified since the secession of South Sudan, when Bashir vowed to adopt a stricter version of sharia (Islamic law) and recognize only Islamic culture and the Arabic language. On June 30 authorities in North Khartoum demolished another church building, just a day after giving verbal notice during the congregation’s worship service, sources said. Bulldozers demolished the Sudanese Church of Christ in the Thiba Al Hamyida area of the city as church members watched, with security personnel threatening to arrest them if they tried to block their efforts, church members said. 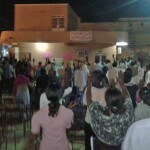 On Aug. 24 another Christian property, the Khartoum Christian Center housing the Sudan Pentecostal Church, was closed down. Church leadership said an Islamic Facebook page indicated the church should be closed because it was winning many Muslims to Christ. Officials gave no reason for the demolition except that, as it was located in a “Muslim area,” the 300-member church was not wanted there, a church member said. Another source, a church leader, confirmed to Morning Star News that authorities destroyed the building and confiscated the land without warning. The orders came from the Ombada locality, or city council, sources said. Following the secession of South Sudan in July 2011, Sudan since 2012 has expelled foreign Christians and bulldozed church buildings on the pretext that they belonged to South Sudanese. Besides raiding Christian bookstores and arresting Christians, authorities threatened to kill South Sudanese Christians who do not leave or cooperate with them in their effort to find other Christians (see Morning Star News).